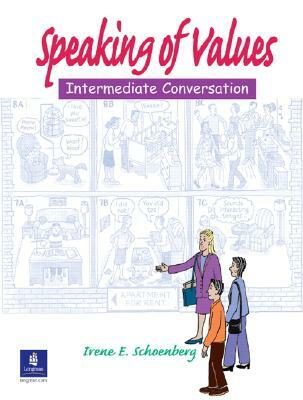 "Speaking of Values" provides a lively forum for students to compare their ideas and values with classmates in a comfortable environment that encourages the development of both language and critical thinking skills. Systematically incorporating language-focused exercises, the text helps students develop fluency by focusing on phrases in context, then practicing them in meaningful and enjoyable ways. Author Name: Schoenberg, Irene E.